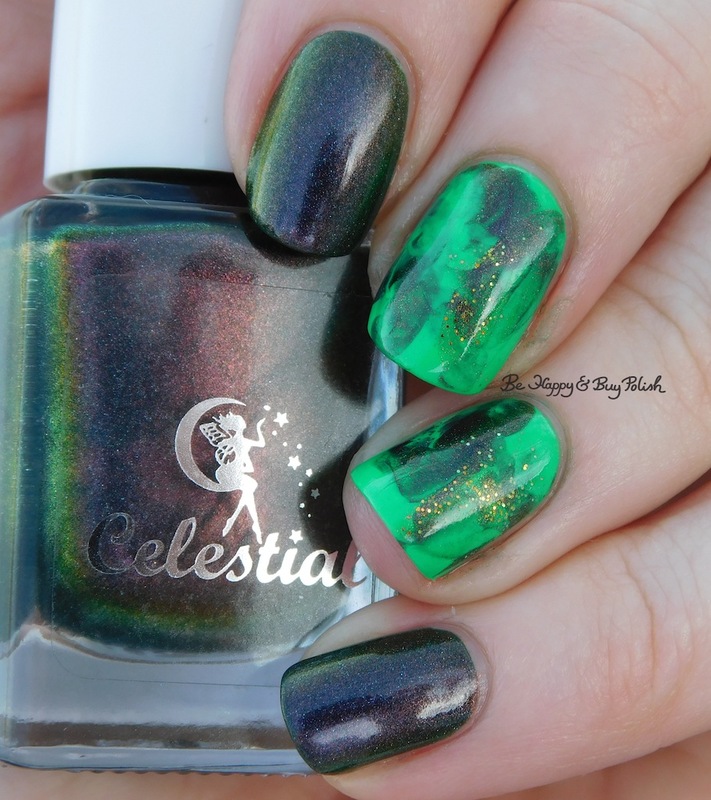 Posted in Indie Polish, Manicures, Nail Art, Nail Swatches, pictures, reviews	by Jessica W.
Celestial Cosmetics Are You Mooning Me? 2 coats plus top coat. Formula was a bit thin but covered beautifully. 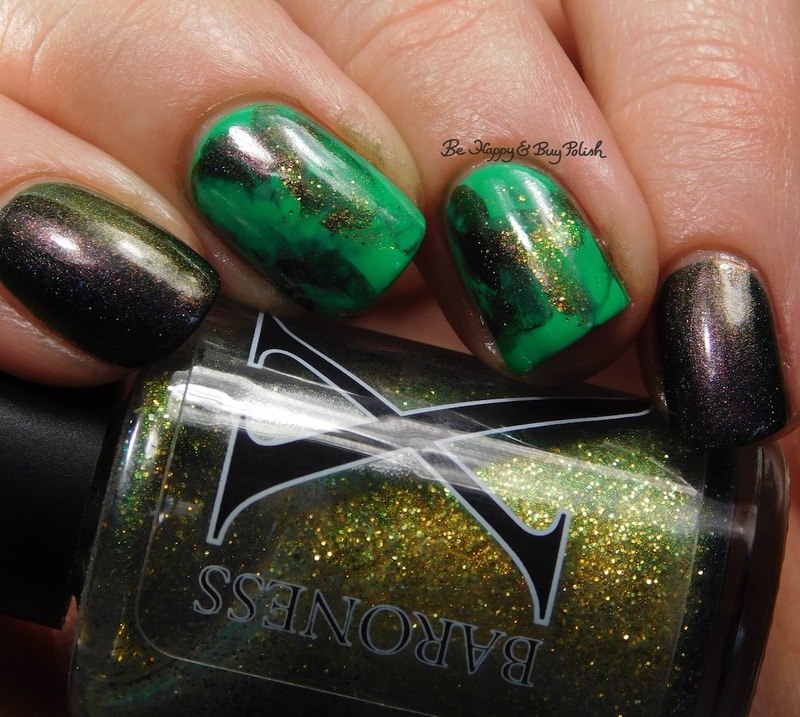 Polish ‘M Shamrock, 2 coats (umm, how could I not use this for a St. Patrick’s Day mani?). Formula was a bit thick but again, it covered beautifully and leveled nicely. That Polish ‘M is soooo good! 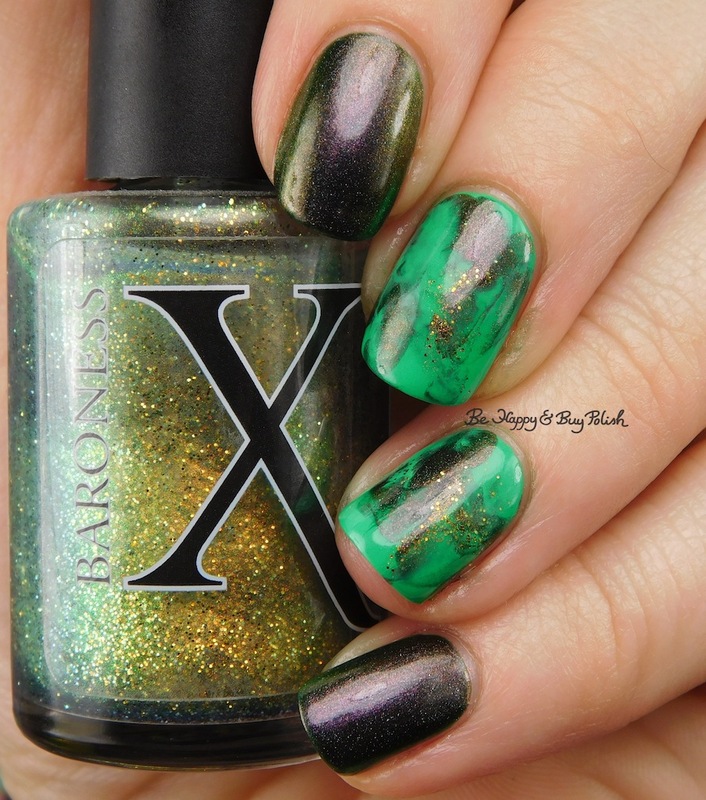 I’m thinking of doing some St. Patrick’s Day looks…we shall see! For whatever reason, I didn’t realize that St Patrick’s day was on the weekend so I ended up not doing anything. I was way too tired after the mouse house trip.